I stumbled across an innocuous piece of information this time last year – I don’t know if it’s an apocryphal source for a more common saying? A coincidence? But it’s cool… However, hold that thought, I’ll get to it. 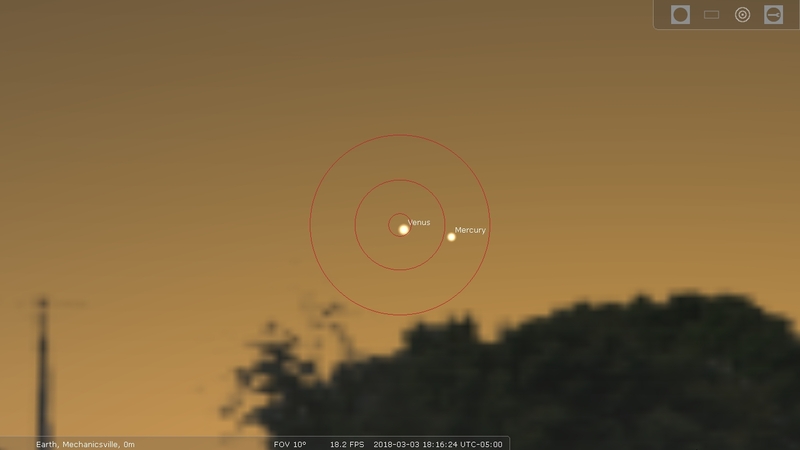 1) As I mentioned, Venus is making its way back into the western (after sunset) sky. It’s still low, but there, and getting higher every day. 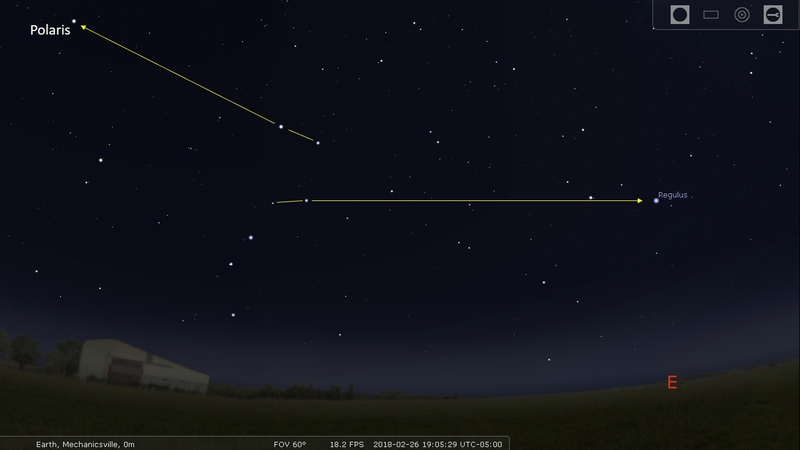 On Saturday, March 3, the sharp-eyed among us (perhaps with binoculars) will be able to spot Venus and Mercury in conjunction, with only a half the width of an outstretched finger (about 1 degree) between them. You won’t have long after sunset to catch the pair before they set, but both should be bright enough to resolve in the orange glow after the sun has gone. 2) The Moon is full on March 1 – which means we went the whole month of February without a full Moon! And just like in January, we’ll have another full Moon on March 31. Blue Moons aren’t looking so rare anymore, are they? This Moon will be the Full Worm Moon (softening ground causing the emergence of earthworms and return of robins), the Full Crow Moon (cawing crows signaling the end of winter), or the Full Crust Moon (nightly freeze and thaw on snow cover giving snow a crusty top layer), depending on how far north you live. Now, to slower, more gradual happenings. This time of year, right after sunset, the Great Bear is standing nose up. He’s climbing up out of his winter’s den – a sure sign that spring is on its way. 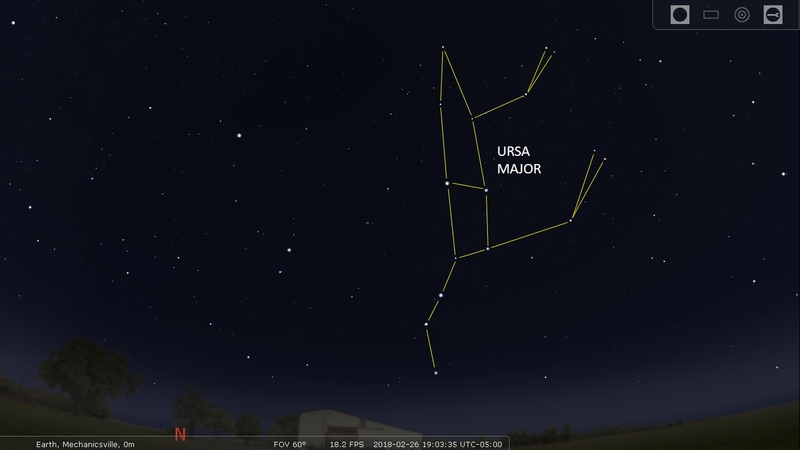 In another sign, many know that a line through the outermost pair of stars on the Dipper points to Polaris, the North Star (a very useful trick to know). But fewer know that if you use the OTHER side of the dipper, and follow the line made by those stars in the OPPOSITE direction, you’ll find Regulus, in Leo. 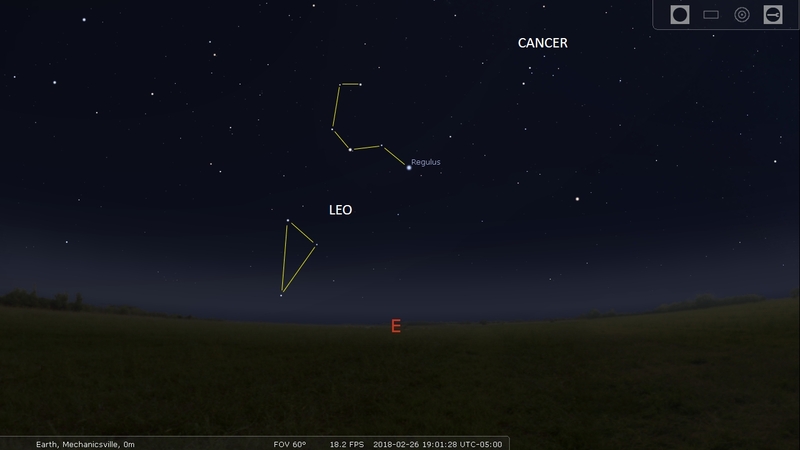 Leo is also rising, right after sunset. The backward question mark rising above Regulus, known as the “Sickle”, marks the curve of Leo’s regal mane, as he crouches, Sphinx-like, facing up and right. His rear haunches are a neat right triangle just above the horizon after sunset. 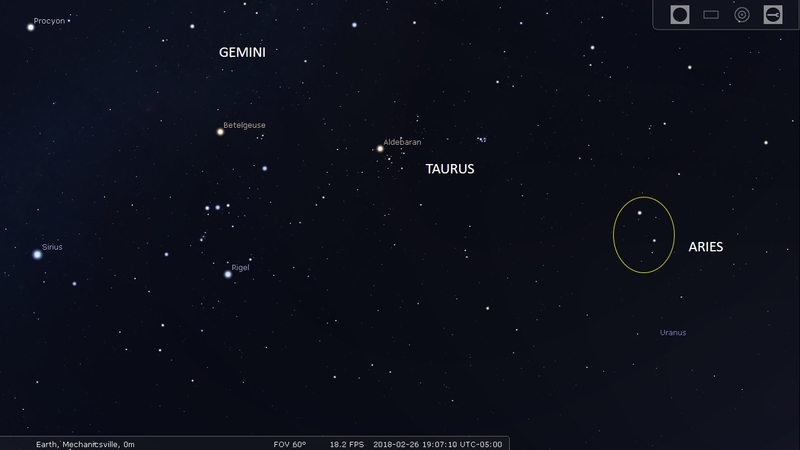 All the way across the sky, about thirty degrees off the western horizon, you’ll find Aries, the Ram/Sheep. Aries isn’t much to look at, really just a trio of stars sitting west of Taurus and the Pleiades, and east of the even dimmer “V” making up the rope tying Pisces’ fish together. So, why is it important now? Well, it’s 30 degrees off the horizon – or about one month of movement before it is ON the horizon at sunset, and setting at the beginning of April. The result — March is coming in WITH a lion, and out WITH a lamb. I was pleasantly surprised a few weeks ago when I looked up after midnight to see Leo. It seemed like just yesterday it had been lost behind the Sun’s glare, but I guess that was already way back in the Fall. The nice thing about our sky is that nothing is lost for very long around the Sun, bound to appear in mornings again soon.